A tourism-driven region in Queensland is now host to four of the nation’s top 12 suburbs for rental yield for units, according to new research. Cairns City and surrounding suburbs Edmonton, Westcourt and Manunda all have yields of 8.5 per cent or above, ranking in the nation’s top 12 suburbs for rental yield, according to the Bank of Queensland’s (BOQ) Buyer’s Guide. The guide, powered by RP Data, reveals the suburbs are all above the national average rental yield of 5.5 per cent – with Cairns City boasting 13.8 per cent, Edmonton 13.4 per cent, Westcourt 9.1 per cent and Manunda 8.5 per cent. The BOQ report largely attributes the suburbs’ high yields to their affordable unit prices, with the median in Manunda just $153,741, Edmonton $155,769, and Westcourt $193,350. 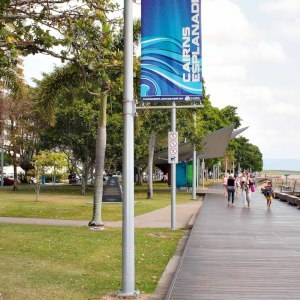 At $427,401, Cairns City is the only one of the four with a median unit value above the national average of $397,030. These figures bode well for people already in or looking to get into the Cairns property market, said BOQ North Queensland regional manager Brendan Jones. Peter Munckton, BOQ head of markets analysis, said national trends were likely to stimulate the economy in North Queensland, ultimately pushing up prices. “House prices have risen strongly across Australia over the past couple of years, driven by strong population growth, a period of under-building, particularly in Sydney, and very low interest rates – with house price strength most predominant in Sydney and Melbourne,” he said. “House price growth Australia-wide is likely to moderate to a more sustainable pace, notably in Sydney and Melbourne, reflecting the already high level of prices in those cities. If rapid price growth continued in those two cities, it would likely lead to action from the RBA and APRA.